The Gospel Music Association (GMA) handed out honors in 39 categories at the 48th Annual GMA Dove Awards plus ,special industry recognitions at Lipscomb University’s Allen Arena in Nashville. Kari Jobe and Tasha Cobb Leonard hosted the sold-out show. From first-time nominees to legends, the all-star lineup came together for one of Gospel and Christian music’s most memorable nights. 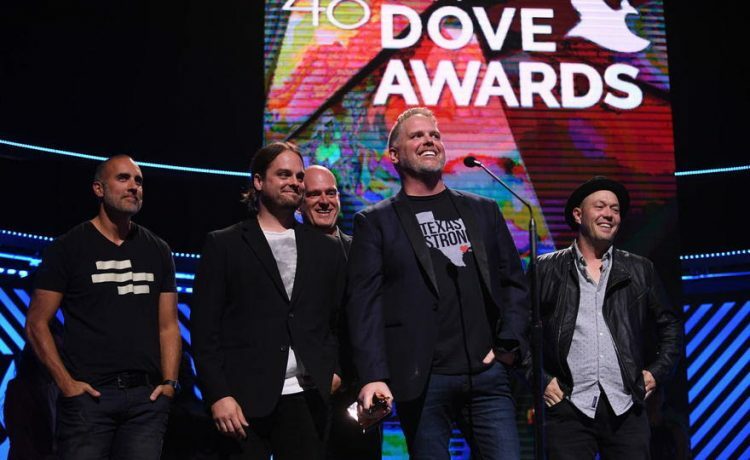 MercyMe received multiple wins at last night’s awards show, winning the notable Artist Of The Year, alongside Pop/Contemporary Album Of The Year (Lifer) and Songwriter of the Year Artist (Bart Millard). “Christian music saved my life and it means the world to us, means the world to me,” Bart Millard said. CeCe Winans took home multiple Dove Awards, including gospel artist of the year and contemporary gospel/urban album of the year for Let Them Fall in Love, which was produced by her son Alvin Love III and Tommy Sims. Zach Williams took home New Artist of the Year. Gospel music legend Pat Boone received the SoundExchange Fair Play Award. Trinity Broadcasting Network (TBN) will exclusively air the awards show on October 22 at 8 p.m. CST. Visit www.doveawards.com for more information. See full list of winners here.